H and I recently visited a favorite little ice cream shop in downtown Marietta. We were there late enough that their neon signs were on and glowing. It gave the whole place quite a magical feel. Are those lady bug tables? This is just too cute! Hi Pamilla! 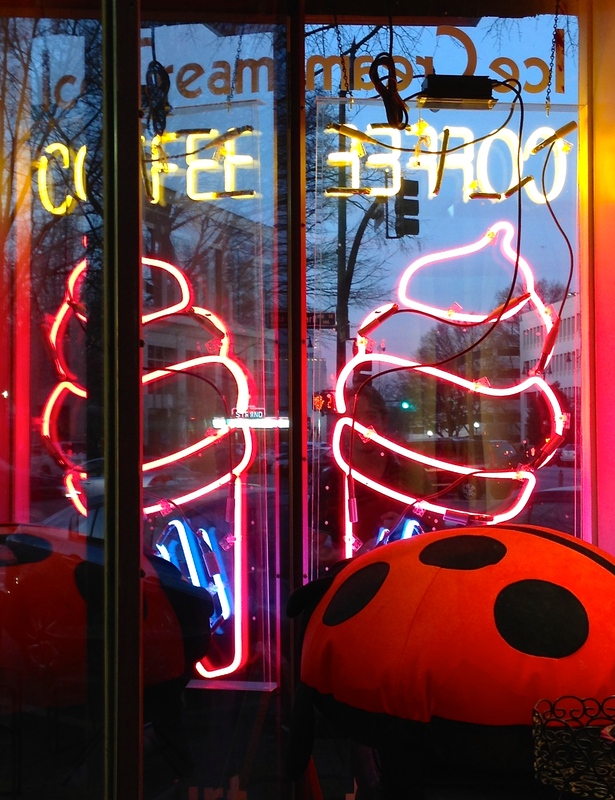 It’s a HUGE stuffed ladybug sitting in the window on the right and the reflection on the left… pretty fun. Thanks for checking out the blog!